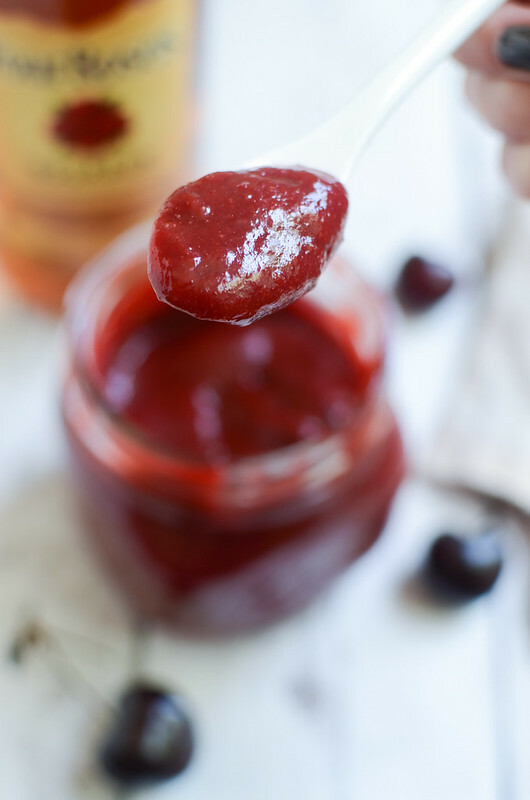 Cherry Bourbon BBQ Sauce – delicious sweet and spicy barbecue sauce made with fresh cherries and Bourbon! 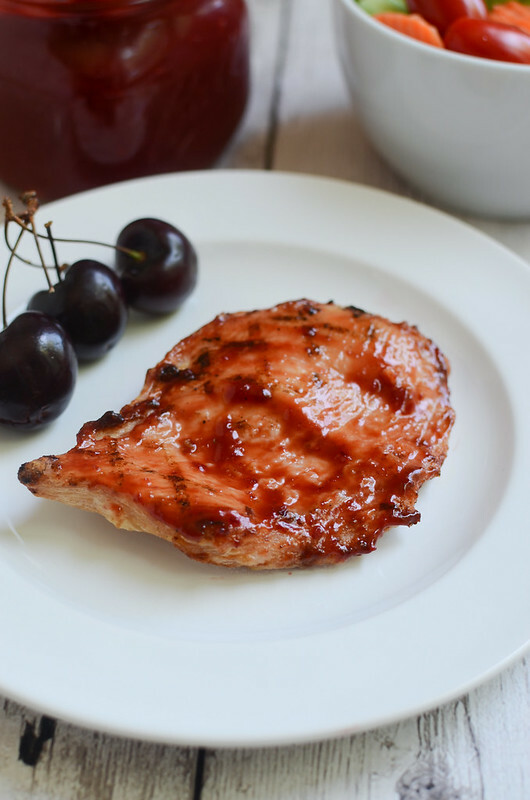 Perfect on grilled chicken! 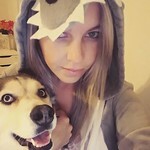 How was the weekend? Fantastic, I hope. I had a very busy weekend. Finished New Girl. Took some naps. Caught a lot of Pokemon. Definitely not ready for Monday! But I have a delicious recipe to share today so I guess it’s okay. Have you tried Four Roses Bourbon? It is the only bourbon distillery that blends 5 proprietary yeast strains with two separate mashbills to produce 10 distinct bourbon recipes. The bourbon is then aged in one-of-a-kind single story rack warehouses that allows the bourbon to age gently and undisturbed throughout the years. Each bourbon variety has it’s own unique character, spice, and rich fruity flavors. 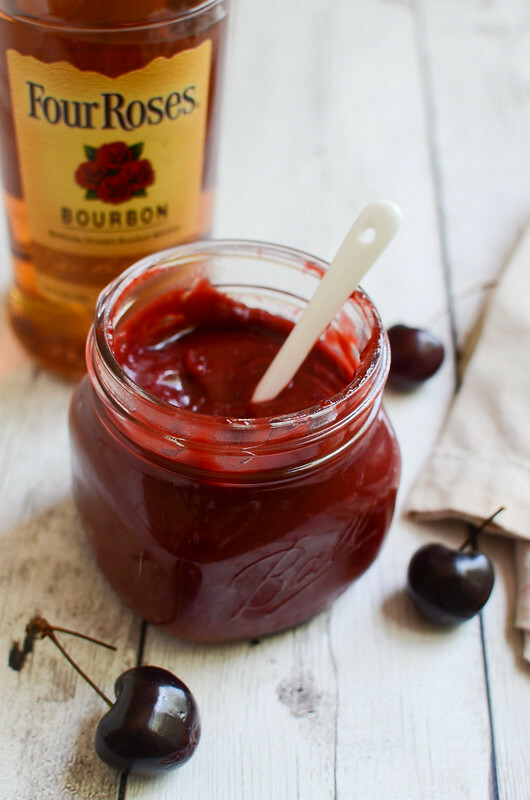 I used the Four Roses Bourbon Yellow for this Cherry Bourbon BBQ Sauce. 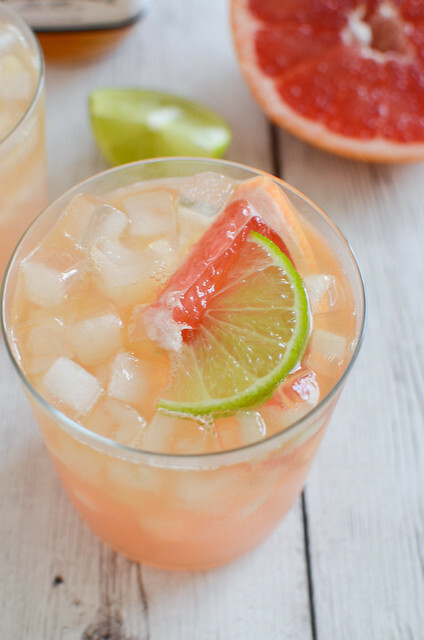 They created this one by mingling all 10 of their bourbon recipes. It’s fantastic, with hints of apple and pear, a floral aroma, and a taste of honey and spice. 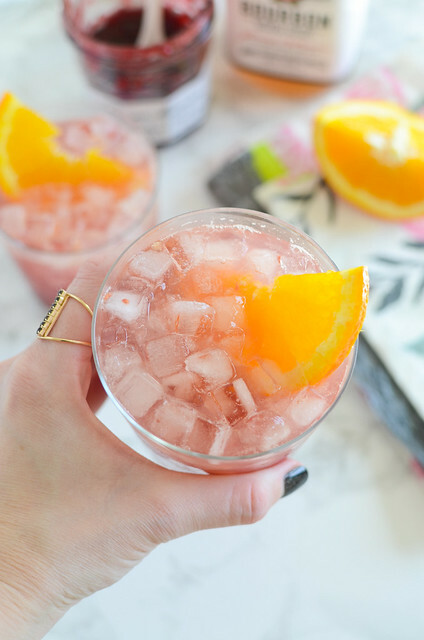 It’s smooth and mellow and is great for creating sophisticated cocktails. Check out the Four Roses Bourbon website for more info, lots of recipes, and to find out where to buy your own delicious Four Roses Bourbon! 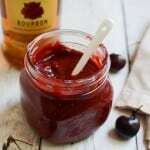 This bbq sauce is sweet and spicy and fruity and delicious. Perfect on grilled meat, perfect on a spoon. I’m obsessed. I made tater tots at 1 am the other day and stood at my kitchen counter, dipping them in what bbq sauce I had leftover. Heat olive oil in a large skillet over medium heat. Add onion and cook until softened, stirring frequently. Add garlic and cook until just fragrant, about 30 seconds. Add Four Roses Bourbon Yellow, ketchup, yellow mustard, brown sugar, cider vinegar, Worcestershire sauce, crushed red pepper flakes, and salt and pepper. Bring to a simmer and add the cherries. Simmer for about 10 minutes, until slightly thickened. Remove from heat and cook slightly. Use a blender to puree the sauce until smooth. 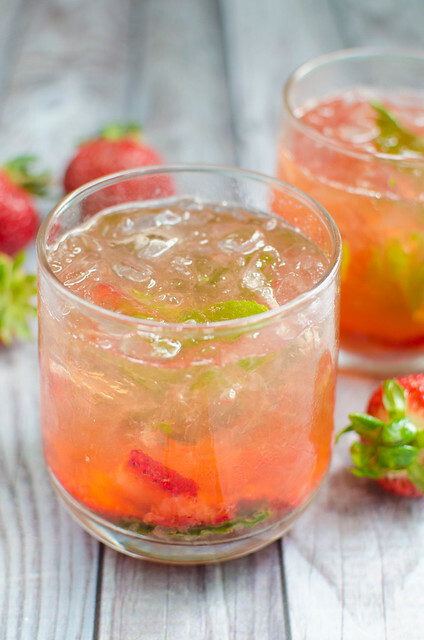 This recipe created in partnership with Four Roses Bourbon. Thank you for supporting my sponsors!